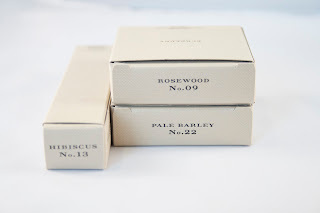 Earlier this week I received my first three Burberry Beauty items, available exclusively at Nordstrom. None of the Nordstrom stores near me carry Burberry, so these purchases were made entirely based on online swatches and reviews. I was hoping that these items would be chic and sophisticated--and I had high expectations for the quality that I expect to come along with the Burberry name. I am happy to report that I was not disappointed on any of these counts! And unlike most makeup lines, Burberry does not typically release seasonal collections that are limited edition from what I have been told. So any colors that are released should be permanent. 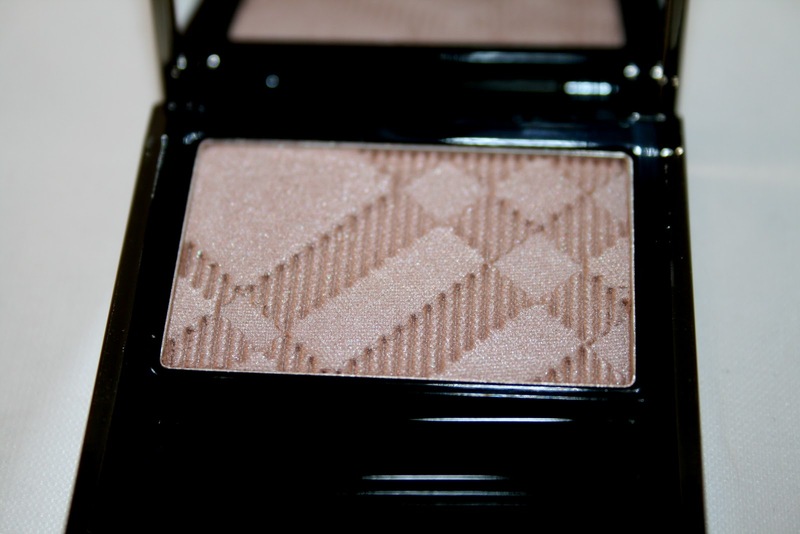 The first bit I picked up was one of Burberry's Sheer Eyeshadows, in color No.22 Pale Barley. 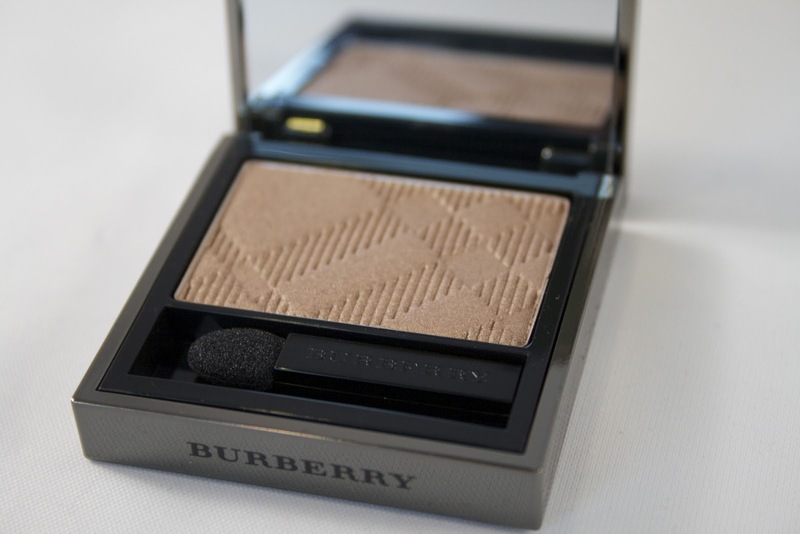 Pale Barley is Burberry's newest eyeshadow color, having only just been released within the past month or two. The compact itself is a sturdy metal square that has a magnetic closure (it also has the Burberry tartan patter etched on the lid, for good measure), but the real gem is what's inside. Pale Barley is a gorgeous light beige/wheat shade with the slightest taupe undertone. The finish is not so much a shimmer, as a satiny sheen that leaves a stunning glow on the lids. 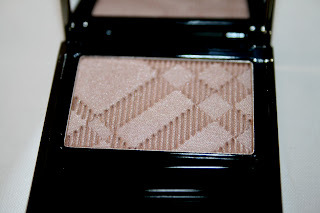 The texture in the pan is buttery and while the color is most definitely understated, it is certainly not sheer. Without a doubt, this is one of the most interesting neutrals I've ever owned! The second shadow I picked up was No.9 Rosewood. 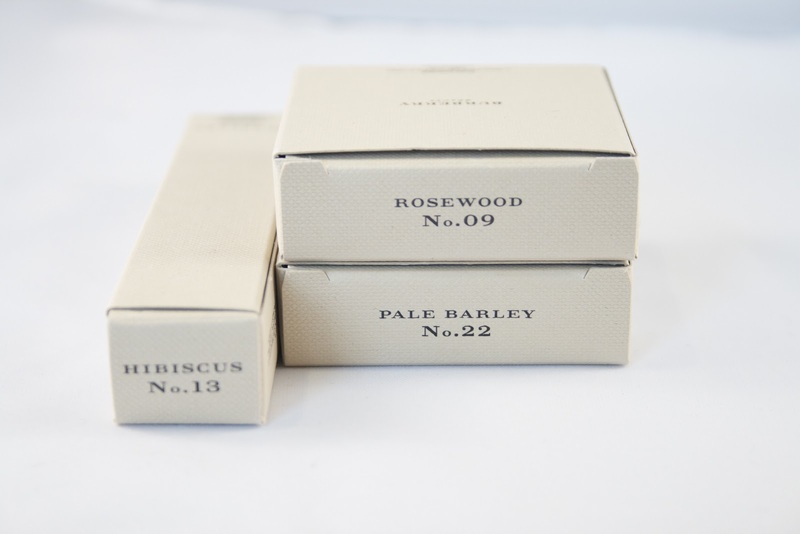 Slightly cooler and darker than Pale Barley, Rosewood is a mid-tone brown with subtle pink undertones. Like Pale Barley, it absolutely glows on the skin. These eyeshadows are what every woman should wear when she wants people to notice how stunning she looks, rather than how stunning her makeup looks. 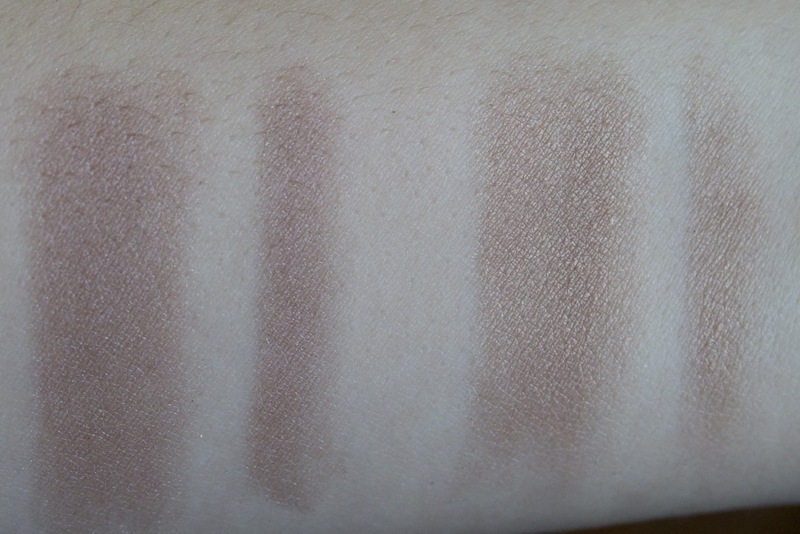 In addition, there was zero fallout from either of these shades and they blended wonderfully on the skin. The last item I picked up was Burberry Lip Glow in No.13 Hibiscus. Hibiscus is hands down the star player of my order. I cannot stop gushing about how much I adore this lip gloss--already, I think it is hands down my favorite lip gloss of all time. On my lips, the color is somewhere between a light raspberry and a deeper plum shade. It is bright and noticeable, but not in a garish way. 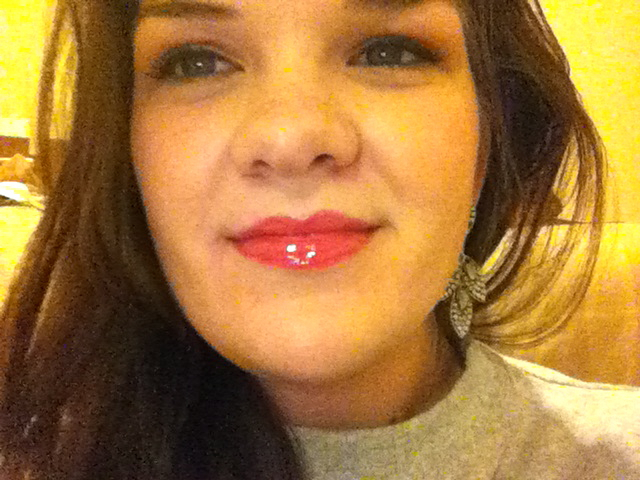 And I always find that bolder lips are easier to pull off with lip gloss, rather than lipstick. You don't have to worry about lip liner or about perfect exfoliation of the lip--gloss always hides all manner of sins!